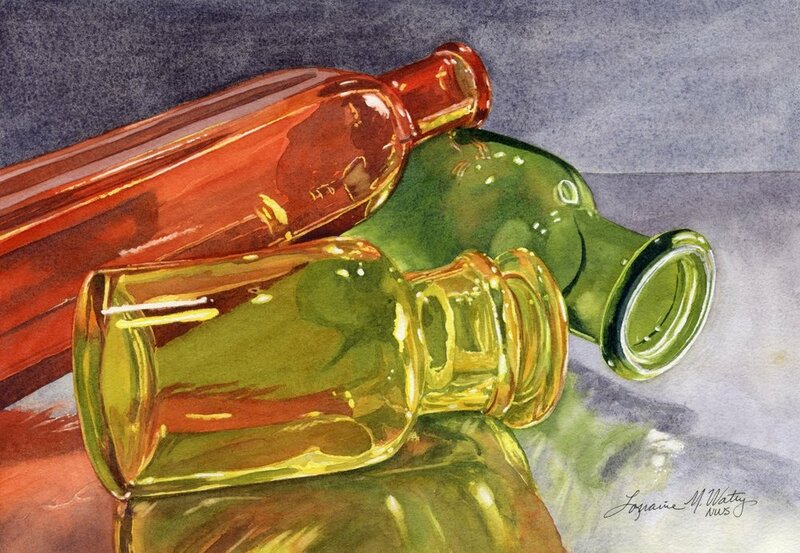 Story Behind This Painting: This painting was a demonstration for painting glass in watercolor. I laid the bottles on a piece of foil to get the shiny reflections and chose to use an analogous color scheme. I love the reflections of the bottles in the other bottles.